on September 25, 2018 at 8:29 am | Reply Molly D.
Hosta never had it so good as to be captured by you! Lovely! Thanks, Molly. I planted some hostas last year just to have some low-maintenance greenery in my front yard. It was a pleasant and unexpected surprise when I saw them flower for the first time. 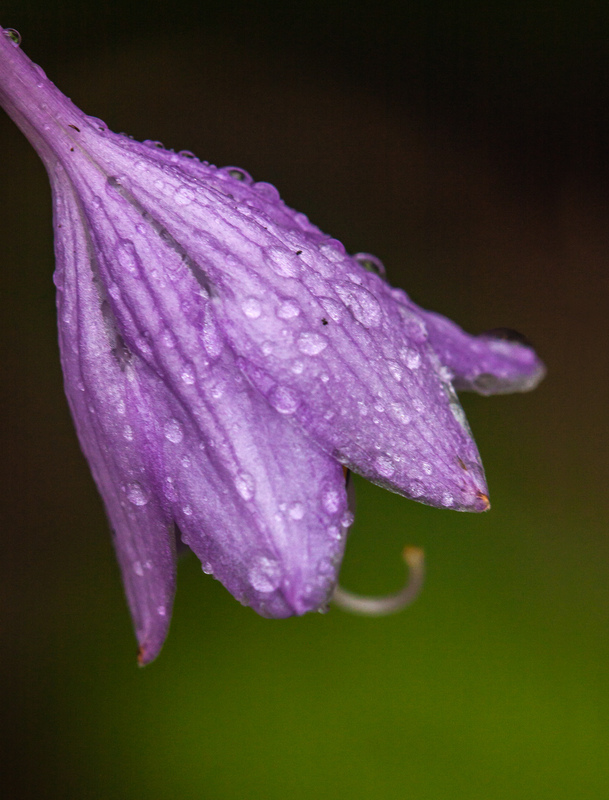 I can’t ever see enough blossoms with water drops on them – great photo, Mike. This has been a really rainy year in my area, Dan, and I have had lots of chances to see drenched flowers as well as the pretty rain drops. Most often I have been trying to keep from getting soaked myself and so have not stopped as often to take photos as I should have.